Gifts for your favorite Multi.Colored person! Gifts for your favorite Multi.Colored person! All kinds of holidays are coming soon, so people of many traditions will have good reasons to celebrate. Here are a few ideas for gifts for people who are already multicolored and for those who’d like to be. Crafty Computer Paper (in the UK) sells inkjet paper designed for printing fake tattoos. In the US, so does DecalPaper.com. What better way to get someone started on the path to real decoration than printing out temporary tattoos in their own designs? If your recipients aren’t quite ready to mark up their own skin, how about tattoo-themed gifts from Zazzle or Tattoo Art Gifts? 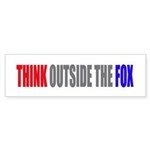 Zazzle also has tattoo bumper stickers. And of course, for the real Multi.Colored fan, there is always (you knew this was coming, right?) one of my own Multi.Colored designs from my CafePress store. That’s just for starters. More suggestions in days to come. Feel free to add your own! Christmas time is my favorite holiday. I love to get together with our families and have really good time. I think that it is great to be able to buy all kinds of presents and give out to the ones we love.